Check out Tobi's Emerson Double Breasted Plaid Blazer Your 9-5 just got a lot more stylish. 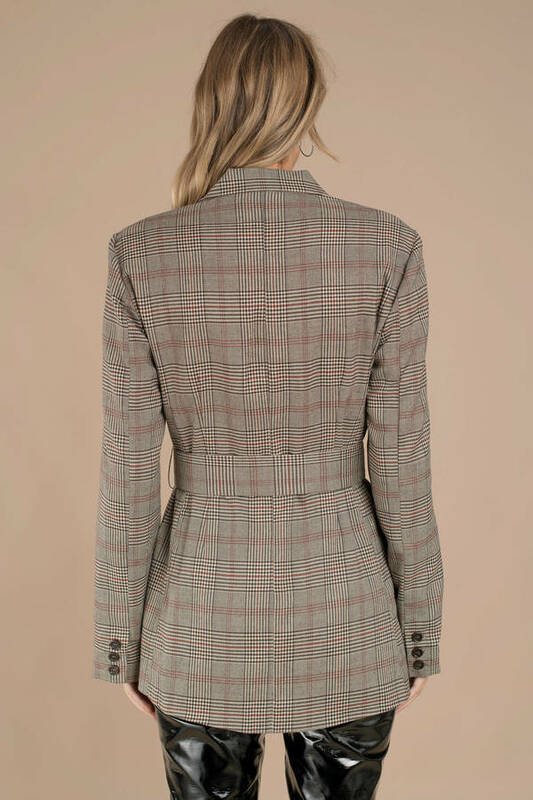 The Emerson Double Breasted Plaid Taupe Blazer features a beautiful plaid pattern, notched lapels, a double breasted construction, and a chic belt. This sleek mid-length blazer is the professional piece you need to keep your workwear on-trend. Your 9-5 just got a lot more stylish. The Emerson Double Breasted Plaid Taupe Blazer features a beautiful plaid pattern, notched lapels, a double breasted construction, and a chic belt. This sleek mid-length blazer is the professional piece you need to keep your workwear on-trend.